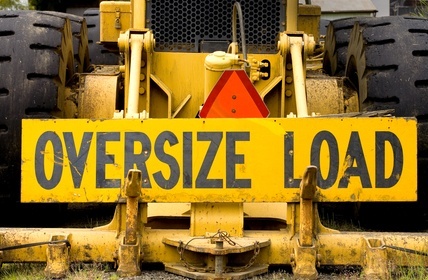 Working with oversize load trucking companies can be a difficult task if you decide to handle everything on your own. There are so many things that go into matching a trucking company with the needs of any client, let alone the needs of a client who needs to transport an oversize load. At Interstate 48, we understand how important it is to have your shipment make it to its intended destination with no hiccups along the way. Therefore, if you are currently wondering what sets one oversize load trucking company apart from another and more importantly what you should be looking for in a trucking company: don’t worry, our expert team of freight brokers can help you narrow down your options and take care of all tasks involved in moving an oversize load. As you may already know, states regulate every haul or shipment that passes through their borders. Due to this fact, oversize load trucking companies are required to have the necessary permits before traveling anywhere. This is extremely important when dealing with shipments of which the dimensions are outside legal limits. Not every state, stretch of highway or road is the same. Thus, size, weight, technical challenges, logistics and legal considerations all matter equally. All of this considered, you will always work with an experienced agent, and we will always work with a trucking company that can handle these aspects of shipment. At Interstate 48, our experts work diligently to match our oversize loads with experienced trucking companies that have outstanding records of performance, safety and reliability. Coupling these trucking companies with a dedication to transparency and communication on our end ensures that any unforeseen delivery challenge, though rare, will be dealt with quickly and effectively. Another important skill set to look for in a suitable trucking company is their ability to accommodate customers whose shipments require different kinds of trailers due to load bearing capacities, etc. Ultimately, finding a trucking company that can meet your specific and unique shipping needs while providing superior logistics is a hassle you will never have to go though when working with us. If you aren’t satisfied with your transportation service provider choice or need further assistance with finding the right company to handle your oversize load trucking, then contact one of our expert freight broker professionals here at Interstate 48 Transportation for more information. Let us show you how utilizing the services of experienced broker agents can simplify your business model and make your job much easier. I have always wondered what the different laws are about oversize loads throughout the country because they are so large and bulky. Like you mentioned, I think that it would be essential to make sure to hire a professional oversize trucking company because of all of the legalities with oversize loading. Like you mentioned, each truck needs certain permits when going from one state to another and the driver must be a professional.